Today we got over run with Lane House properties at HomeofShanghai Housing Shanghai. Three of them really stood out to us. Firstly they are great value and amazing quality, also all three properties would suit different people. So lets take a look at some of the coolest apartments to rent in Shanghai and I know, we always advocate renting in the French Concession. And that is because it is so homely for foreign guests here in China. This property would be perfect for a young professional or couple. Featuring period features with modern convenience we really love this property. at 10,000 RMB per month the price reflects market conditions quite well. Check out the full listing here Rent Apartment Shanghai. This is one of our favorite properties of the year. Again period features and modern chic this duplex has to be one of the best places to live in Shanghai. Entertaining guests would be wonderful and the second bedroom would be perfect for a child or visiting guest. at 20,000 RMB per month it is not cheap but for the location and quality we think it is excellent value. 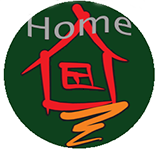 Check out the full listing at HomeofShanghai Housing Shanghai. This is a great family Lane house in the French Concession. Ample living space and a clean renovation is the reason why. There is a lovely balcony and the location is spot on. Close to Changshu station and within distance of International Schools in Shanghai. This property has separate living areas so adults can have space and children can have a place for playing. For full details check out the listing for this property in Shanghai.